Affordable Office Document Scanner with Speed and Compatibility. 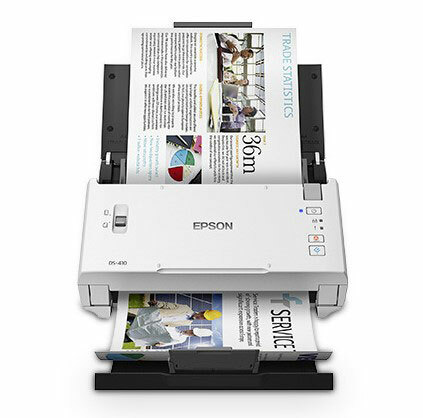 The DS-410 by Epson document scanner brings speed and compatibility to the workforce. It can scan as much as 50 pages ADF, and built for seamless integration with virtually any document management software. Featuring double feed detection and paper protection to prevent misfeeds and peak daily duty cycle up to 3,000 sheets.